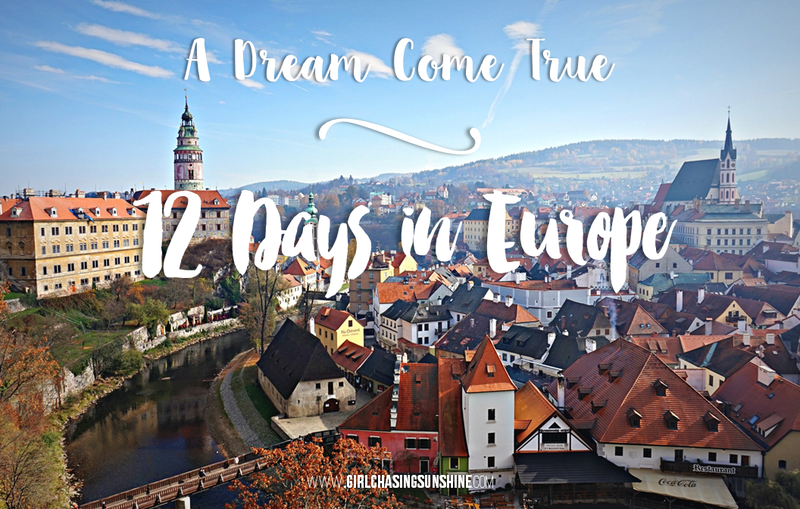 It’s the most perfect time of the year again to go on vacations, weekend getaways, and road trips. 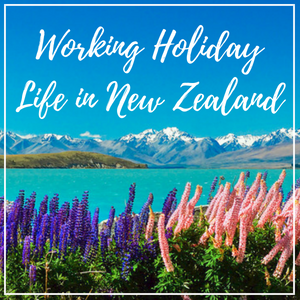 Planned vacation away from the city totally ruined! It happens. Fortunately, you still have a fighting chance to get on board that bus to your destination—try your luck as chance passenger. Chance passengers are those who don’t have a prior reservation for a specific bus destination schedule. They standby and fervently hope that reserved passengers, for whatever reason, won’t show up. Since I moved from Zambales to Manila in 2006 to study in the university, I’ve had several experiences of being a chance passenger. 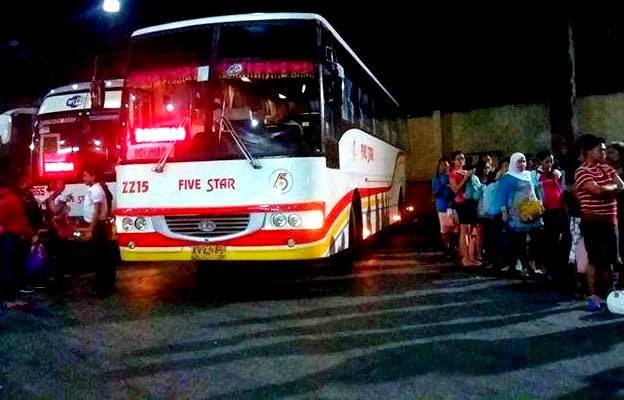 Victory Liner is the only bus liner that plies the Manila-Zambales route. Because of this monopoly, every holiday and summer vacation involving a ride home turns into a nightmare. 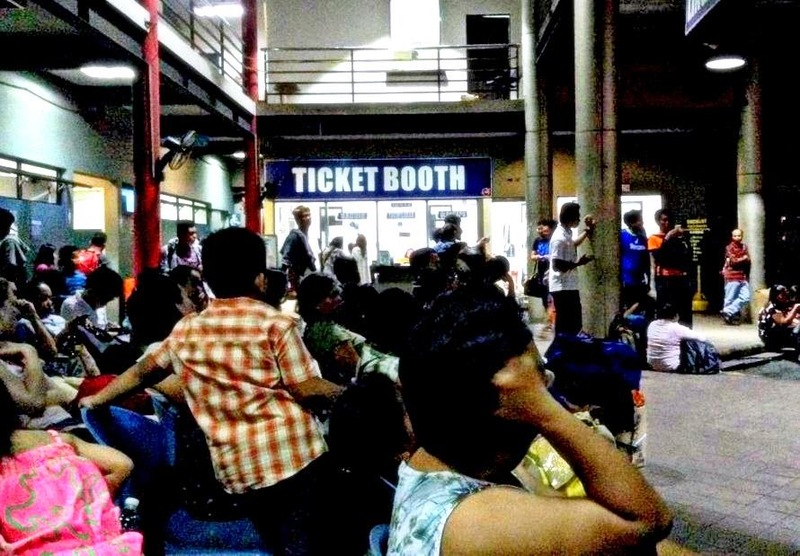 Long lines form in Victory Liner bus terminals as if people are there for a blockbuster movie or a One Direction concert. The situation can be crazy, bordering to Hunger Games-like where passengers battle it out just to grab a bus seat. While it’s tempting to give and lose it all just for that precious bus seat, please remember these eight simple etiquette and tips for bus chance passengers to ensure a safe trip and a stress-free vacation. Most of the time, you fail to get that coveted ticket because you arrived at the terminal at the nick of time—maybe an hour or even 30 minutes before your intended departure schedule. Anticipate the crowd most especially on holidays and long weekends. Whenever possible, come early. This is where the saying “the early bird gets the worm” is most appropriate. Chance passengers are usually on a first-come, first-served basis so if you don’t get that bus ticket reserved prior to your trip, at least make sure that you are first or second in line as a chance passenger. It is not enough to come early; you have to be armed with a plan. Do your homework and find the departure time and bus numbers of your destination. This is usually readily available on each bus liner’s website. This way, when you arrive, you can be specific to the attendant as to which departure time and route you’d like to take. Decide if you’ll go with a companion who will line up as a chance passenger while you brave the ticket lines hoping to get seats at the next possible departures. You can also bring a stool for you sit down while waiting. Some passengers even go as far as enduring seating on bus aisles to get to their destination. Securing the much-coveted front row seats is also another option. Usually, Seats 1-4 are reserved for handicapped, senior citizens, and pregnant women. If there are no such cases, chance passengers are allowed to take them. Remember also that the lines can be really long so it’s best to bring snacks, water, a good book to read, or a game to play on your phone. Having a plan makes the process much easier and endurable. It happens! 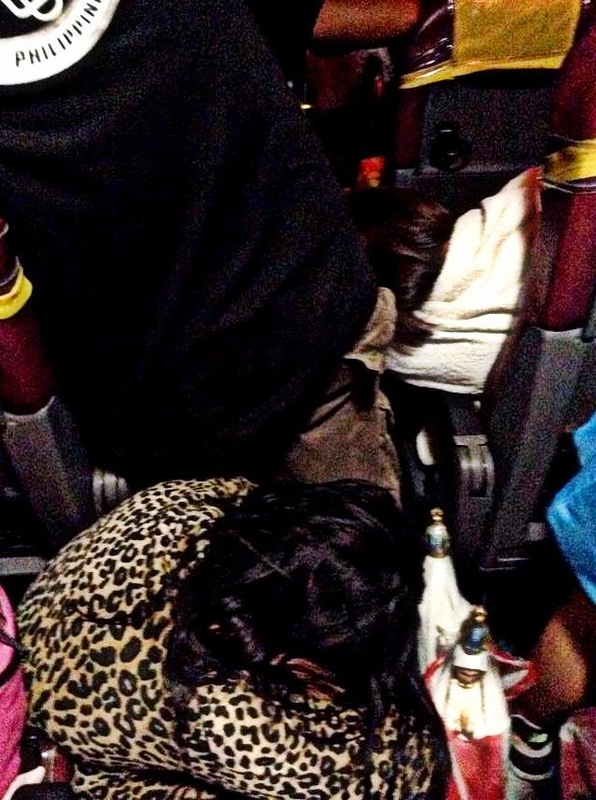 A passenger endures sleeping on the bus aisle. Keep in mind that there are also other chance passengers, some who even got there earlier than you, waiting to get on that bus. While it’s tempting to resort to wicked ways just to get a seat, please do not. Be fair to others and don’t cheat your way on board. I’ve seen others say that they have a ticket when they don’t just so they can immediately board; or those who pretend they’re pregnant. I know it’s all about diskarte out there but please play it fair. There is absolutely no acceptable reason, except a matter of life and death, for you to cut the line. It’s downright rude and disrespectful for other chance passengers who have spent hours standing in line. Then you’ll just barge in and force your way in front? No way, Jose! 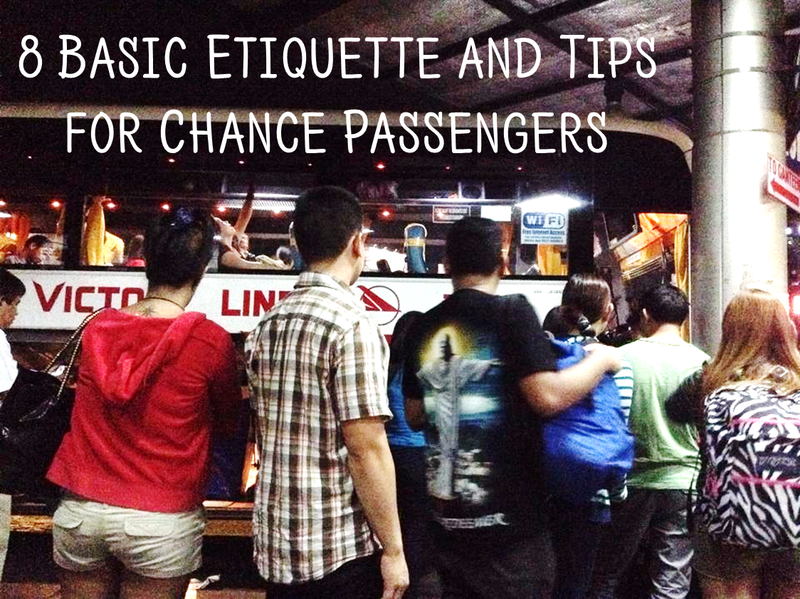 When it comes to being a chance passenger, the line is sacred so tame your ego, gather your things, and fall in line properly. Image from Jam Liner on Facebook. 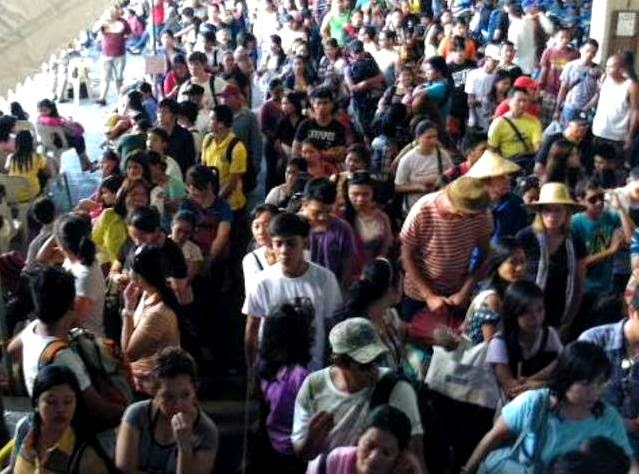 Holy Week 2013 crowd situation at Victory Liner Cubao Terminal (Image from Victory Liner Facebook). Find time to gather good karma. When you see a fellow passenger in need, lend a helping hand. Sometimes, you’ll find it in your best interest to give up your place in the line and offer it to someone who really needs it—a young mother with her month-old baby, a pregnant woman, or a senior citizen couple. Listen to your kind heart whenever possible. You’ll feel a little less stressed when you are able to help. Long lines, the summer heat, and people cutting lines—uh oh, it’s certainly a bad combination that could lead to tempers flaring up. While it’s easy to lose your cool, remember to remain calm and in control in these times of stress. Keep a handle on your emotions and choose your battles. Anger and impatience will just wear on your heart and mind. It’s totally not worth it. Besides, you’ll need to reserve your energy until you are able to secure a seat. 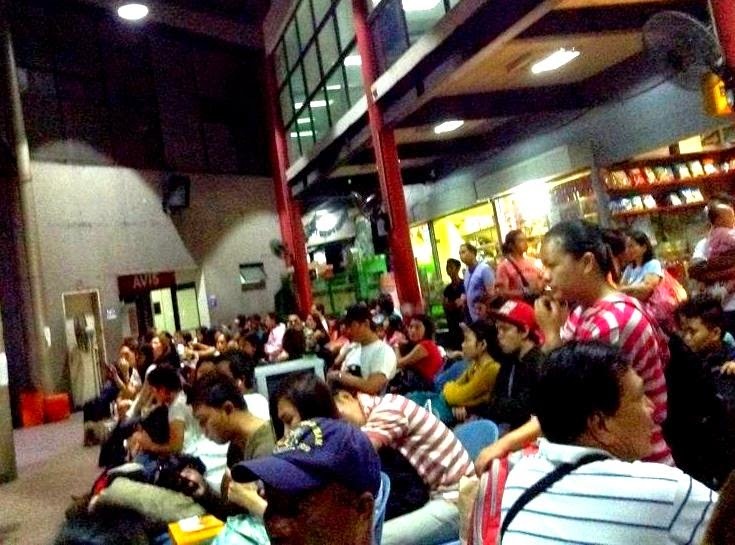 Passengers line up for hours at the bus terminal. Thumbs up for bus terminals with lots of seats! After everything, trust that there is a Loving God that would take pity on your predicament and eventually, you’ll be able to get that seat on that bus. Claim it and it shall be given to you! Murphy’s Law, remember? And finally, there you are—inside the bus on a comfortable window seat. You flash a smile as if you’ve won the lottery and in that moment, you know that there’s nothing left to do but whisper a simple thank you to the universe and enjoy the ride to your destination. This is all good advice if you have to travel stand-by, but why do you have to travel stand-by? I mean, is there no way to reserve a seat or to buy a ticket ahead of time? I agree with Rachel (and we, too, call it "Stand-by" travel as opposed to "chance passage." It's best to book ahead if you can, and assure yourself a seat to a pre-determined place so that you bring the right clothing and accessories to suit the specific place you are going. Being prepared always makes for a better travel experience. 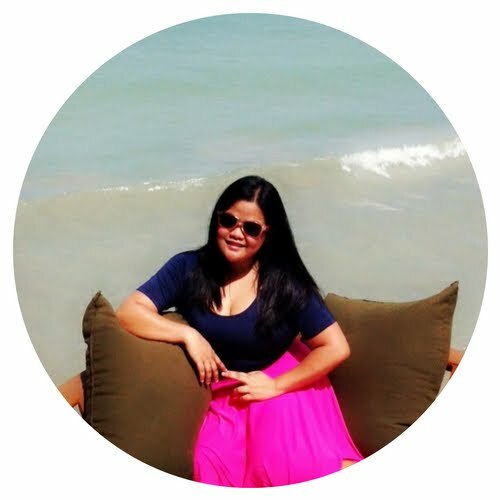 "Being prepared always makes for a better travel experience." I totally agree with this, Doreen! :) And I hope more people will appreciate and practice the importance of doing such. Oh my goodness, this sounds very stressful! Not sure it would be worth the hassle for me! It does sound super stressful and how in the world do you manage change passage if you are a group or large family? Yikes! Sometimes, they break into smaller groups or decide to just sit along the aisle. :( Yes, it's so stressful.